Supermarket, grocery, and many retail operations must balance refrigeration loads with shopper comfort while keeping an eye on electricity usage and operating budgets. One way that operators are reducing energy costs is by retrofitting open refrigerated supermarket display cases with transparent doors. While this retrofit can save significant energy costs, it must be planned carefully both from a refrigeration standpoint as well as air conditioning. Overlooking the impact on the HVAC systems when reconfiguring refrigeration equipment can lead to problems. It is obvious to most people that open display cases consume more energy than cases with doors. Anyone walking down the dairy aisle at the supermarket can notice that the entire space is significantly colder than the rest of the store. The largest consumption of refrigeration system energy in a supermarket is from the open display cases, because they are subject to much higher heat loads than cases with transparent display doors. To say that the frozen food case is air conditioning the entire store has a hint of truth to it! To reduce energy consumption, many retailers are now either retrofitting the open display cases with transparent doors, or replacing the cases altogether. Many retailers opt for lighting and fan motor upgrades at the same time, which bring additional energy savings. However, open refrigerated display cases remove large amounts of heat and humidity from the surrounding store space as cold, dehumidified air escapes the case through infiltration. This results in a net increase in the building heating load during the heating season and a net decrease in the building cooling load during the cooling season. When the refrigerated cases are reconfigured with doors, the level of infiltration is greatly reduced and thus changes the total HVAC loads. In supermarkets and other retail buildings, the HVAC system was originally sized and designed to account for the interaction with the refrigeration equipment. Changing the heat load on the HVAC equipment requires a reassessment of the HVAC system configuration to ensure continued optimal performance. As part of the planning of the retrofit or reconfiguration, it is important to analyze the performance of the HVAC equipment, taking into account the contribution of the retrofitted cases on the system, for both winter and summer operation. 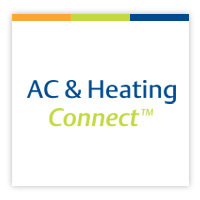 A qualified HVAC contractor can determine if changes to the system are needed. Besides cooling and dehumidification on the sales floor, many refrigeration systems impact the air conditioning system in another way. If the refrigeration system includes heat reclaim, calculations should be performed to evaluate the new heat output of the refrigeration system when operating in conjunction with the newly retrofitted cases. A smaller refrigeration load and system often reduces heat output. Heat reclaim systems need to be evaluated, and additional heating load requirements should be taken into account. Refrigeration system improvements can result in significant energy savings, but the impact on air conditioning systems must also be taken into account. Including a qualified HVAC contractor in the planning process will help.